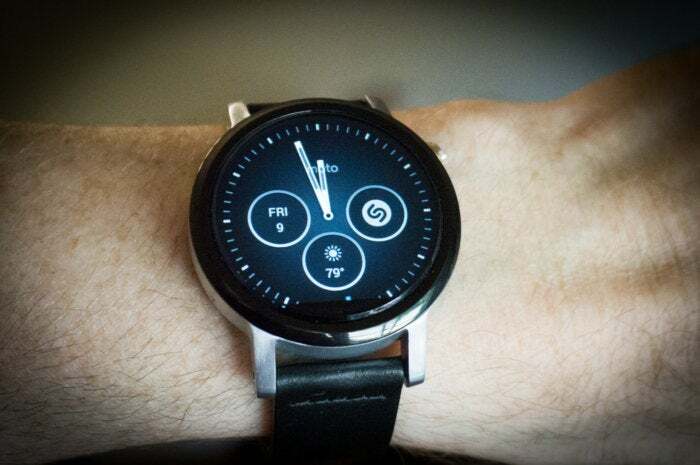 Hardware refinements make this the watch the original Moto 360 should have been. If you’re looking for a smartwatch that delivers a “next-generation” experience, the 2nd generation Moto 360 isn’t it. In fact, none of the Android Wear watches really move the platform forward in a significant way—perhaps because Google is largely in the driver’s seat for software development. But if you want a smartwatch that delivers a great experience for everything Android Wear can do, this is the one. Numerous hardware refinements and a year of software development have made the new Moto 360 everything the first one should have been. 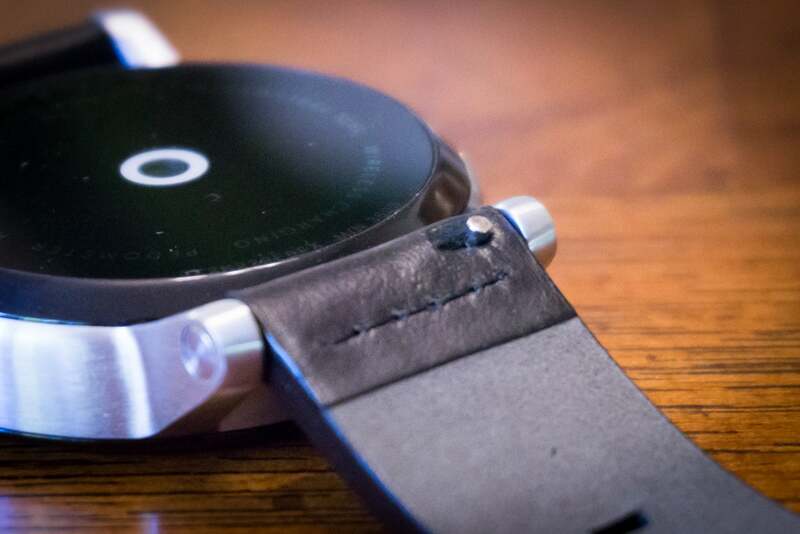 The Moto 360 launched to a host of problems. Software glitches. Performance stutters. Horrid battery life. A few major software patches fixed most of those issues, so much so that we eventually found it to be one of the best Wear watches around. Still, the watch was too big, and it didn’t last long enough on a single charge. Over time, its simple design was surpassed by fancier Android Wear watches. And its heart rate sensor and step counter never worked all that well. Just about the only thing Motorola didn't fix is the "flat tire" display, which isn't as annoying as you'd think. This year’s model is a whole other story. Dumping the old TI processor for a Snapdragon 400, the 2nd gen Moto 360 is certainly snappier. Swipes and scrolls are fast, and animations are smooth. Best of all, the battery lasts much longer. In my everyday use with the smaller 42mm model, I would put the watch on at about 8:00am and take it off around 10:00pm with a good 40% charge remaining. That’s with ambient mode turned on. (The 46mm version should last a little longer.) If I spent more time in the sun the brighter screen would sap that, and it does get bright enough to easily see in sunlight, but I think you’ll easily be able to go through a long day without running out of juice. 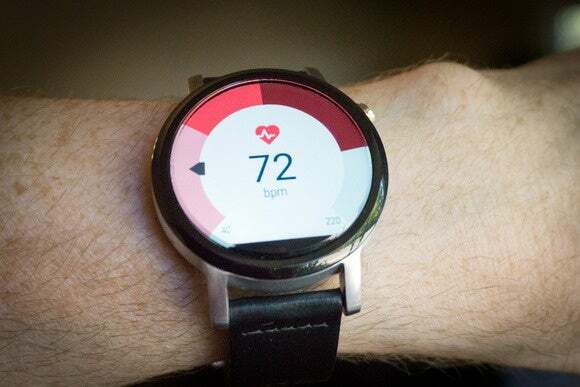 The heart rate sensor was hit-and-miss on the old Moto 360. The new one is much more reliable. Even the Moto Body step-counting and heart rate monitoring works well now. I never failed to get a heartrate reading when I asked for one, while the old Moto 360 (and many other Android Wear watches) would fail nearly half the time, and have often given me wildly inaccurate readings. The new Moto 360 comes in two sizes: 46mm and 42mm. The 46mm is the same size as the old one, while the 42mm is a much better fit for those of us with thin wrists. Now that the band attaches to lugs instead of directly to the case, it looks less like a “tech gadget” and more like a watch. There’s even a ladies’ model which takes the 42mm body and uses slimmer lugs for a more feminine look. The bands are easier to swap out, thanks to traditional lugs on the body, and quick-release levers on the bands. Generally speaking, the watch looks a lot better, but it’s the high degree of customization that really makes it stand out. On the Motorola site you can choose from one of those three sizes, in three colors: black, silver, or gold. (Women get rose gold instead of black.) Then you can pick whether you want the front bezel to be chamfered or to have a crosshatch “micro knurl” pattern, and you can pick any of the three colors for the bezel, independent of the case color. There are two leather bands and three metal link bands to choose from. And finally, you can pick a custom watch face to show at startup (though you’ll probably browse around and pick a new one anyway). All this customization isn’t free. The 42mm and ladies’ model starts at $299, while the larger 46mm version (with higher-res display and bigger battery) is $50 more. The gold case, knurled bezel, and metal bands can drive the price up to $449 at the high end. Still, the prices are reasonable for what you get. 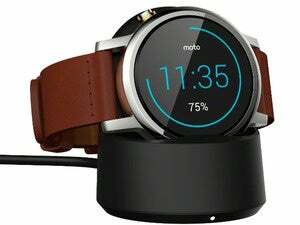 The 2nd generation Moto 360 isn’t a breakthrough device. Yes, the little “flat tire” cutout is still there at the bottom of the display, hiding the display electronics so the rest of the pixels can go all the way to the edge of the bezel. Yes, it still requires its little wireless charging stand. Over time, you’ll come to appreciate it—taking off your watch and resting it on the stand is easier than snapping charge cables to the back, even magnetic ones Yes, this watch is still just standard Android Wear with a few extra watch faces and Moto Body fitness tracking. But a year of refinements has been incredibly kind to Motorola’s smartwatch. 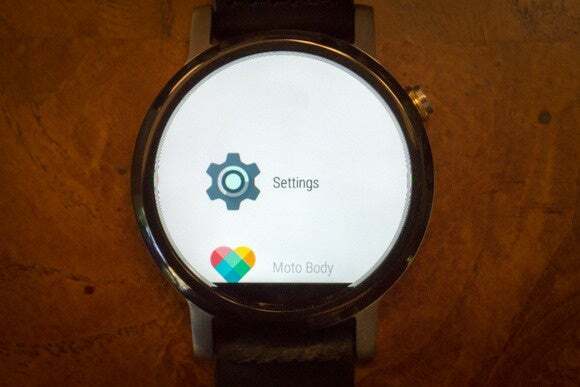 Google has dramatically improved the Android Wear OS, and Motorola its own software. The hardware looks more refined but still not too “bling-y”, it’s far more customizable, and the smaller sizes are just what men with slim wrists like me, and especially women, have been asking for. When it comes to Android Wear watches, you’re not going to find one much better than this for awhile. It’s not that the new Moto 360 has any one standout feature that is wholly unique, it’s that it does everything well. The display quality, performance, battery life, design, customizable options...it’s all there. This is about as well-honed as this generation of technology is likely to get. A year of tweaks and improvements has done wonders for the Moto 360. It's not revolutionary, but it looks good and works well. This is Android Wear firing on all cylinders.